At Conklin & Ward Dental Group, we give our patients the attention we believe they deserve and don’t get from other dentists or healthcare providers. We believe that each patient’s desires and concerns are unique to them, and in order to provide the highest quality care, we need to know about them. 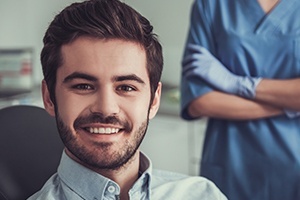 That’s why when you’re a new patient with us, you won’t start your appointment with a hygienist, but rather with a one-on-one conversation with your dentist in a private conference room. We want to learn everything we can about not just your health history, but your personal history as well. With that knowledge, we’ll be able to better personalize your dental care so you’ll always have a reason to walk out of our office smiling. From the second you step through our doors, it’s all about you, and we know you’ll feel the difference from your very first visit. Most other practices are happy to rush you through your appointments so they can get the next patient in as quickly as possible. That couldn’t be more different from how we do things. When you come to see us, you’ll have our undivided attention, and we’ll make you feel like you’re our only patient of the day. Every part of your dental experience will be specially-designed with you in mind so that not only will your smile benefit, but your overall being as well. Once we have learned everything we can about you, then it’s time to start applying truly world-class dentistry. Dr. Devon Conklin, Dr. Charlie Ward, and Dr. Melody Ward are able to provide a truly comprehensive array of dental services under one roof, ranging from standard preventive care all the way to all-inclusive implant dentistry. We even work with some of the best ceramists in the country so that your dental restorations will always be works of art. And all along the way, we’ll only utilize the latest in technology. When each of these elements come together, you get a quality of care unlike any other. 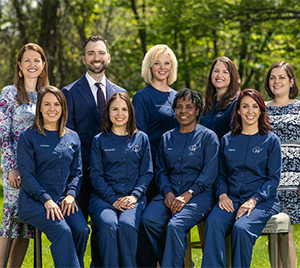 The biggest thing that makes us different from your typical dental practice is our team. They are all highly-motivated and extensively trained, but we know what our patients really appreciate the most is their sincere attention and genuine interest from check-in to checkout. They’ll be there every step of the way to make sure your appointments are always well-organized, fast, and comfortable. You may forget everything that they do, but you certainly won’t forget how they made you feel.